Founded in 1979 as a locally owned community bank, Hickory Point Bank was acquired by Archer-Daniels-Midland Company (ADM), Decatur, IL in 1986 and operated as a wholly owned subsidiary of ADM between 1986 and 2011. 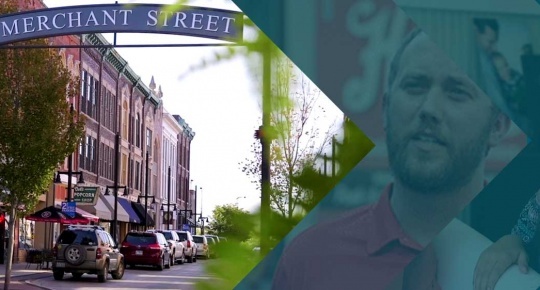 In 2011, First Illinois Corporation, formed by local bank executives, directors, and business leaders purchased Hickory Point Bank, and returned the company to its roots as a locally owned community bank. Hickory Point Bank is proud to call Central Illinois home. It’s that pride that shapes us and influences the way we interact with our customers and our communities. What affects you, affects us, and that includes everything from the economy to the weather to the results of last night’s games. We’re local people serving local people the best way we can, through banking expertise that makes your life a little easier. We believe that everyone contributes to a healthy community, so no matter what you do for a living we’re here to help you reach your goals of success and security. You’re invested, and so are we. 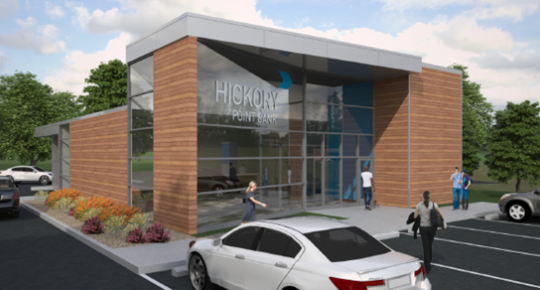 Our South Shores branch and Forsyth branch project are representative of the future of banking, with its combination of innovative technology and Hickory Point Bank’s best in class customer service. 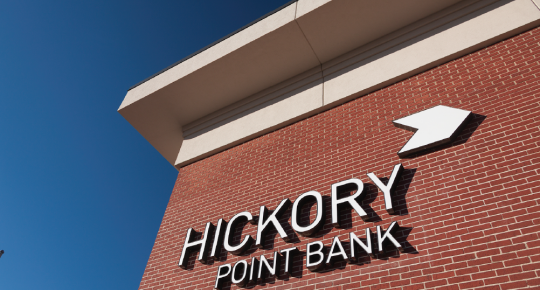 Hickory Point Bank serves businesses, institutions, and families throughout central Illinois and beyond, with nine branch locations in Decatur, Springfield, Champaign, and the greater Peoria area. Utilizing the latest technology in remote deposit capture, mobile deposit apps, online banking, lock box operations, and other services, the Bank’s reach goes well beyond the limits of its physical branch network. Whether you need banking services for yourself, your whole family, or your small or large company, we appreciate your business and we’re going to treat you with the utmost respect and make you feel right at home.